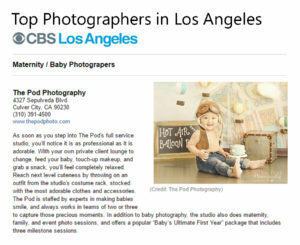 We're Named Top 5 Best Photographers in Los Angeles in the Baby and Maternity Category! - Los Angeles based photo studio, The Pod Photography, specializing in maternity, newborn, baby, first birthday cake smash and family pictures. 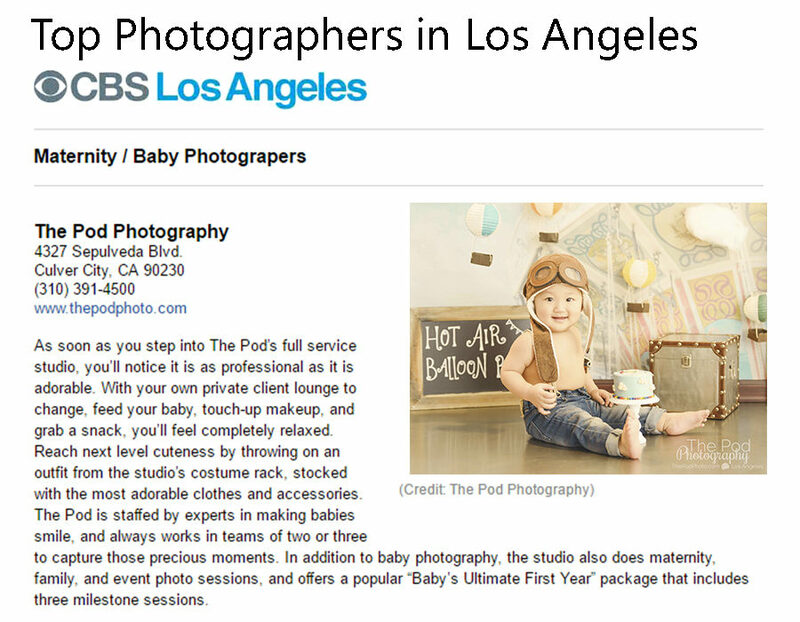 A big THANK YOU to CBS for selecting us as one of the top photographers in Los Angeles – this is such an honor, especially since it came out of the blue! Our Los Angeles photography studio specializes in maternity, newborn, baby, first birthday, event and High School Senior portraits. Visit our website www.ThePodPhoto.com to learn more about us, and give us a call at 310-391-4500 to learn more about having us photograph your family!